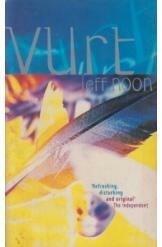 Vurt by Jeff Noon, Sci Fi. Book is in good condition, all pages intact. In a world where hallucinogenic drugs have created a shared virtual reality, a man searches for his lost sister in the depths of hallucinatory space.